Hossa, who became the 85th player to score 400 NHL goals, was equally, if not more enthused, about the outcome of the game. It didn't take long for Hossa, who suffered a serious knee injury, but still played a major role in Portland's Memorial Cup championship in 1998, to get comfortable on NHL ice. The aforementioned injury that kept him from joining the Senators for full-time duty until the end of 1998 didn't hinder his impact. Despite missing two months, Hossa, who had appeared in seven games with Ottawa in 1997-98, contributed 15 goals and 15 assists for 30 points in 60 games to earn NHL All Rookie honours. He also finished second to Chris Drury in Calder Memorial Trophy voting for rookie of the year. Since then, he has played for the Atlanta Thrashers, Pittsburgh Penguins, Detroit Red Wings and currently, the Chicago Blackhawks. Over the course of his career, he has made four NHL All-Star Game appearances and played in three consecutive Stanley Cup Finals' with three different teams before finally winning the Stanley Cup in 2009–10 with the ‘Hawks. The 32-year-old is hoping he has plenty more time left skating on hockey's biggest stage. Sharing such experiences with friends, family and fans in Slovakia has been equally rewarding for Hossa, who has played extensively for his country, including seven World Championship appearances, and three Olympic Games, including in 2010, where he scored the game-tying goal in the third period against Russia during the preliminary round. 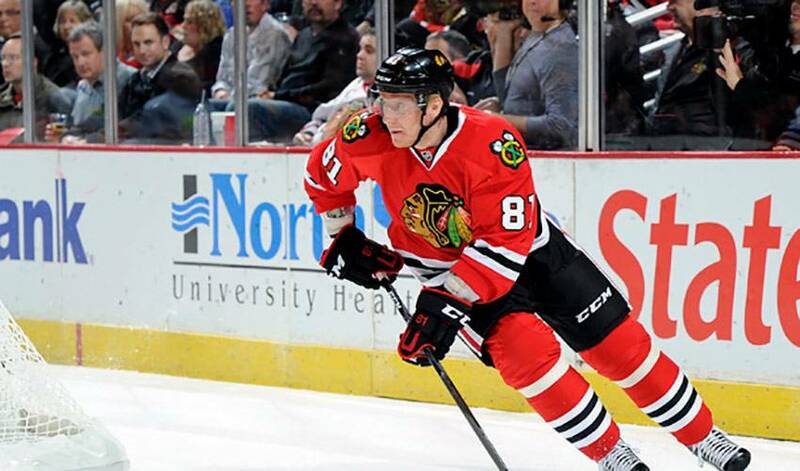 Hossa, playing at a point per game pace with Chicago in 2011-12, isn't done with personal milestones. He's closing in on 1,000 games-played and is less than 150 points from 1,000 in his career. Yet, in spite of his successes, Hossa remains very much the same in his love for the game and desire to be a respected teammate. That passion for hockey hasn't waned.